If you're looking for a gripping new crime series, you'll love Aline Templeton. Featuring DI Marjory Fleming - 'Big Marge' - and set in Galloway. 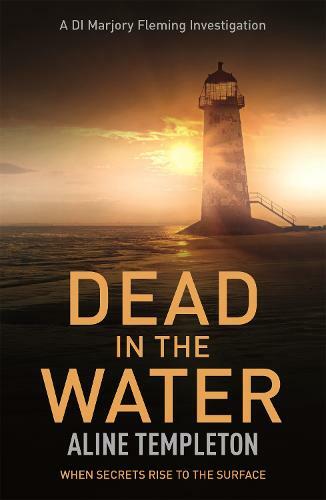 If you enjoy novels by Ann Cleeves, Faith Martin, Val McDermid and LJ Ross, try Dead in the Water. The young victim had been pregnant, her body washed up on the rocks. Twenty years on the murder remains unsolved; her father is now dead, and her mother refuses to talk about what went on all those years ago. DI Marjory Fleming is called in to reopen the case that her late father, a policeman, was unable to put to rest. As Fleming digs deeper it becomes clear that her father had struggled to keep secret some of the shameful details around the young girl's death. Can she handle the truth she will unearth, not just about her father but about herself?